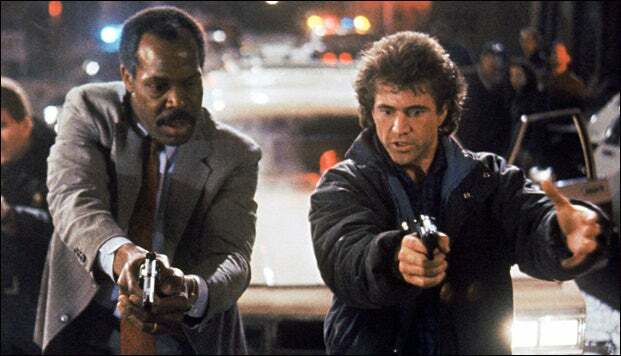 Former Chuck executive producer Matt Miller, who most recently created and executive produced the ABC drama Forever for Warner Bros. Television, is currently writing a pilot for Lethal Weapon TV series, according to Deadline. The original film series was a buddy-cop action-comedy that centered on an emotionally unstable homicide detective and his straight-laced partner who was memorably always "getting too old for this s--t."
On the Lethal Weapon show, when Texas cop and former Navy SEAL Martin Riggs suffers the loss of his wife and baby, he moves to Los Angeles to start anew. There, he gets partnered with LAPD detective Roger Murtaugh, who, having recently suffered a “minor” heart attack, must avoid any stress in his life. Besides a Rush Hour series in development at Warner Bros. Television, movie properties ranging from Zombieland and Beverly Hills Cop to The Notebook and Galaxy Quest either are, or recently have been, put into development for television recently.